Check out our feature in Burkhart Dental Supply's Magazine issue of the Catalyst Winter/Spring 2019! To assist the dentist in identifying dental problems that are not visible during a clinical exam, digital x-rays are taken annually. In addition, we offer a 3-D digital x-ray to diagnose jaw problems, maxillary sinus issues, and root infections. This is taken approximately every 3-5 years. 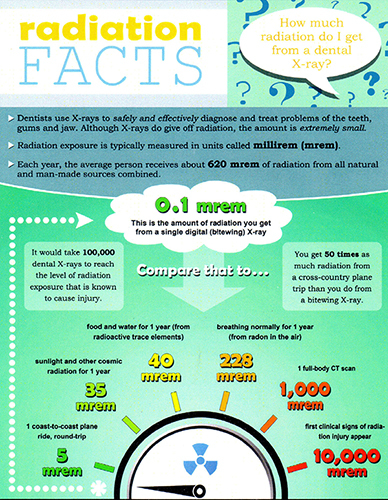 Many patients have questions and concerns about the type and amount of radiation in a dental office. For additional information, please visit ada.org or mouthhealthy.org. I am very pleased and honored to announce that I have officially been voted on to the Board of Trustees of the Olympia Tumwater Foundation. The OTF is a foundation that was initiated by the Schmidt family when the Olympia brewery was sold. OTF makes contributions giving around 150,000 dollars worth of scholarships per year to local students attending colleges who have had a lot of great success stories. I was appointed the Chair of Tumwater Falls Park which is the other major focus of the Board along with the Schmidt House and Crosby House. Since my first walk through Tumwater Falls 7 years ago on my initial visit I fell in love with this beautiful piece of land right in the middle of our fair city. I have continuously sought out a way to volunteer in the park. Due to my passion and excitement about the park the board gave me the responsibility of giving it the treatment it deserves. I feel that Tumwater Falls is one of the most gorgeous tracts of land you could find in an relatively urban setting. There has only been one full time employee taking care of most of the parks physical needs for many years. I plan to change that! My first goal is to get the community more involved in the park and start holding more activities to show off such a gem. We have our first volunteer day with the Master Gardner's Association of Thurston Co. on the 28th of September and hope to make a dent in cleaning up some areas of overgrowth and trail maintenance. If you have a green thumb or are like me and LOVE to pull ivy and cut limbs then please write me an email and I will put you on my list of volunteers and send you our updates on future projects. This is not a city park so contributions/donations and volunteers will be what makes this place something we can be very proud of for generations to come! Again, I am very honored to be a part of this and I hope that some of you may want to help me have a hand in what I know will be one of the best garden/parks in the NW! 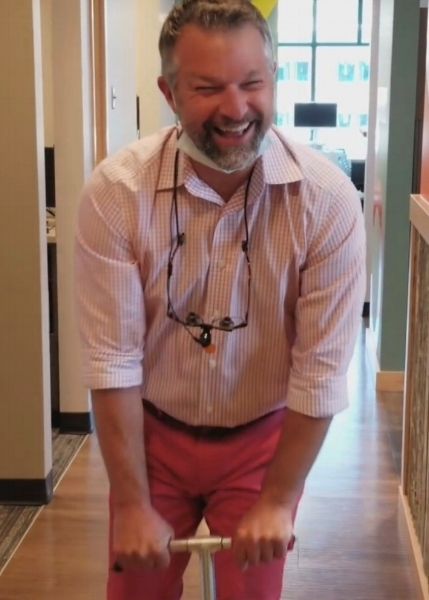 Meet Dr. Andrew Edwards, not your typical dentist or your typical dental visit. Here at Deschutes River Dentistry in Tumwater, we are happy to provide you with an upbeat, unique, and comfortable experience that will change your perspective on dentistry and make you realize that going to the dentist can actually be an enjoyable experience! Deschutes River Dentistry is the best dentist office in the Tumwater and Olympia area! We are excited for our Open House Party! Come check out the new office and enjoy the view, with drinks, bbq and music!